The Girl Scouts Dads team won the Crunch-off. 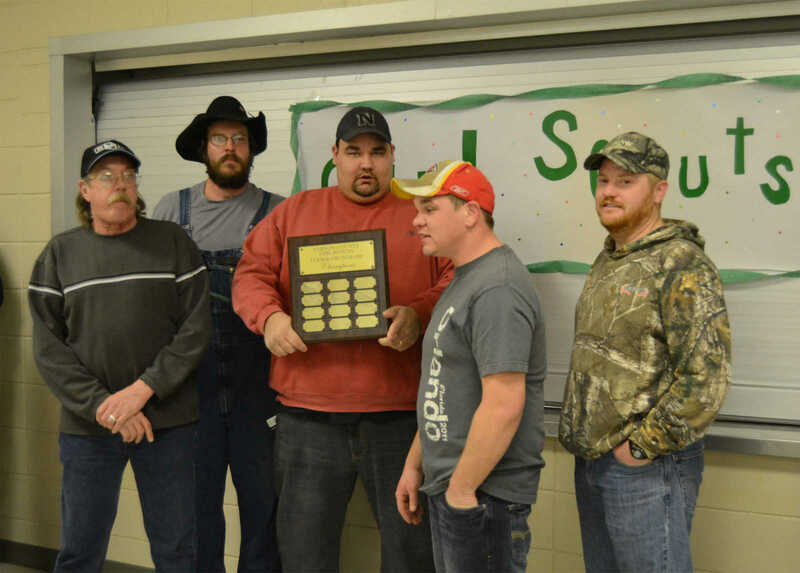 From left, Ron Brewer, Earl Higgins, Lewis Dunn, Adam Pryor and Travis Olson stand with the plaque. 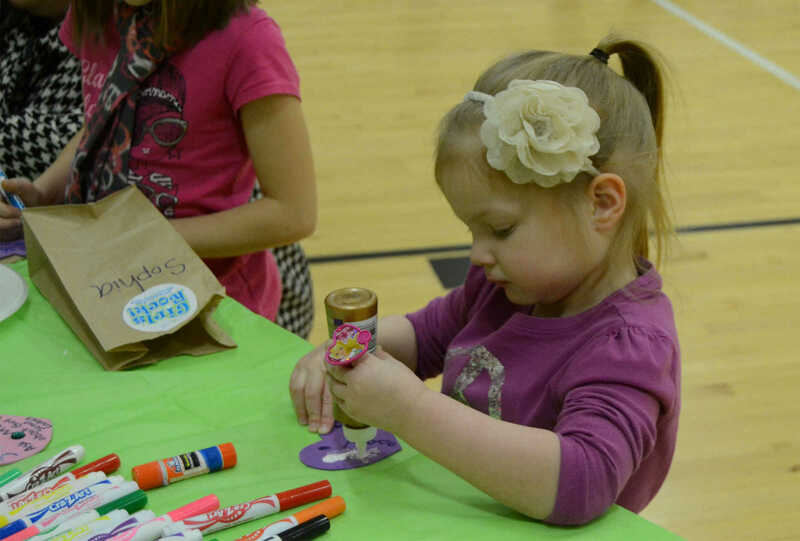 Sophia Davis makes a craft during the Girl Scouts carnival at the Community Center on Friday. 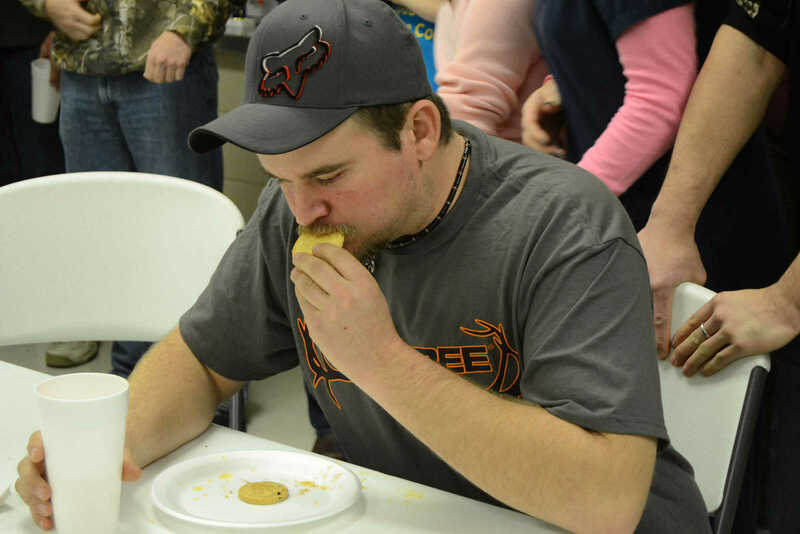 A Walmart Cookie Monsters team member chomps down a cookie during the Girl Scout Crunch-off on Friday.